I used to squirm at the idea of putting garlic anywhere near my eggs, I just couldn’t imagine it tasting good at all, but today I finally plucked up the courage to try it and oh me oh my I’m addicted! 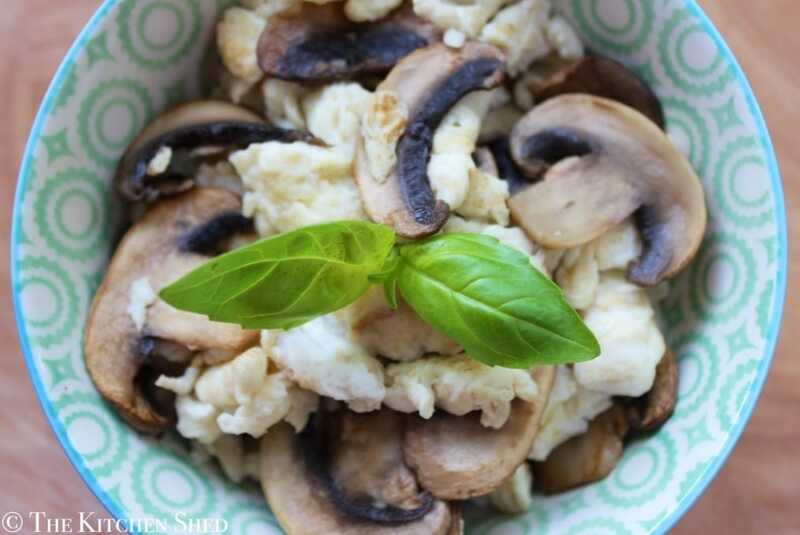 Clean Eating Garlic Mushroom Scrambled Eggs are so delicious I could eat them for breakfast everyday for a week! They would go perfectly with some Clean Eating Baked Beans or to add a little extra goodness, you could toss in a handful of baby spinach leaves. In a bowl or jug, whisk together the egg and egg whites until combined. Mince or finely grate the garlic and add it to the egg mixture. Stir to combine. Clean and slice up the mushrooms. Pour the olive oil into a non stick pan and turn on the heat to medium. Add the mushrooms to the pan and cook over a medium/low heat for about 5 minutes (stirring occasionally), until the mushrooms are golden brown. 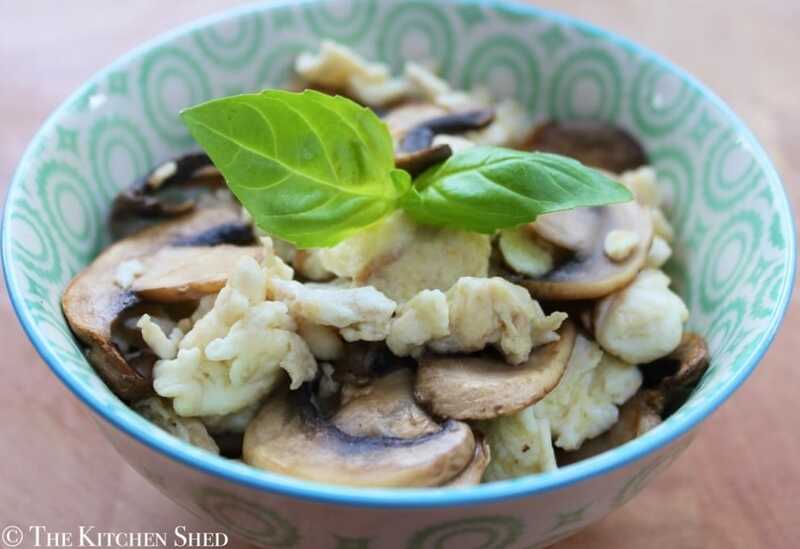 Once the mushrooms are cooked, remove them from the pan and set aside in a bowl. If the pan is dry, add another 1/4 teaspoon of olive oil and turn on the heat to high. Once hot, add the egg and garlic mixture and turn the heat to low. Allow the egg to cook for about 30 seconds before you start to stir/scramble. 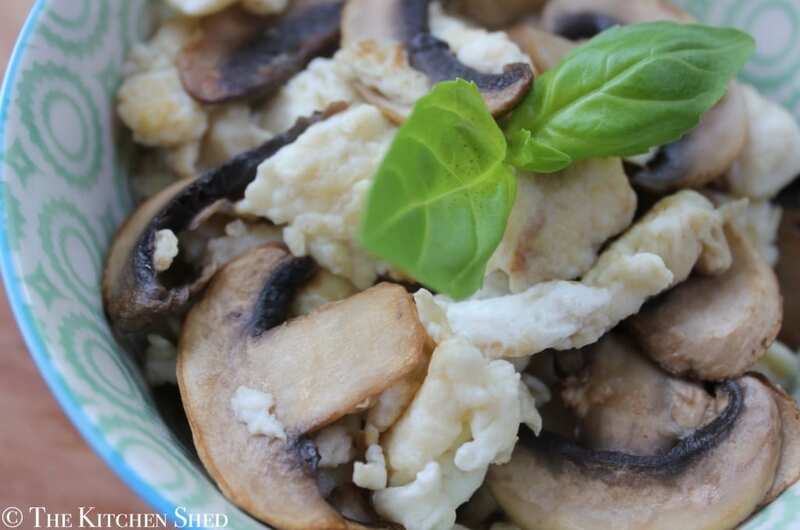 Keep stirring until the eggs are cooked, then add the mushrooms back into the pan and stir to combine.